Car Wash Fundraiser – Update! 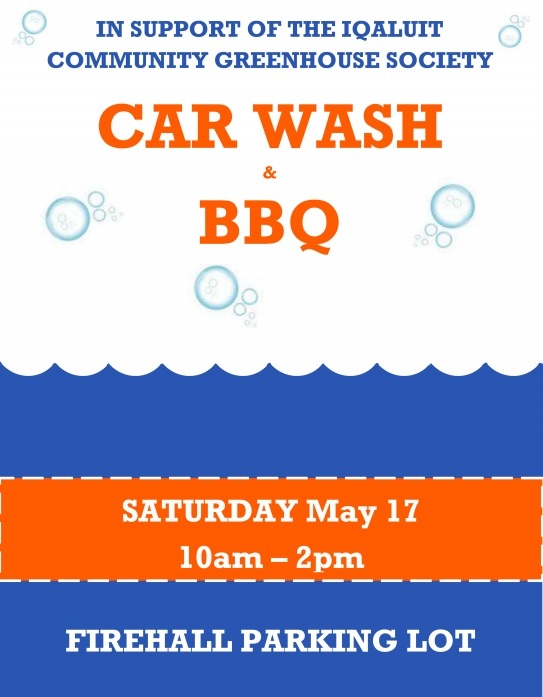 Don’t forget…the ICGS is holding a car wash fundraiser on Saturday, May 17 from 10 AM to 2 PM at the Iqaluit Firehall. That’s tomorrow! We are still looking for volunteers to help with washing cars and barbecuing. If you can donate a couple of hours, please let us know. As the weather is still iffy in terms of temperature, this event may need to be postponed at the last minute. The ICGS Board will be making the decision in the morning and will post to the website, Facebook and Twitter by 9:30 AM if we will need to postpone. Keep your fingers crossed that temperatures reach above freezing!